For the first time ever, Super7 will be a vendor at C2E2 this weekend in Chicago, and they’re bringing with them some really killer ReAction exclusives! 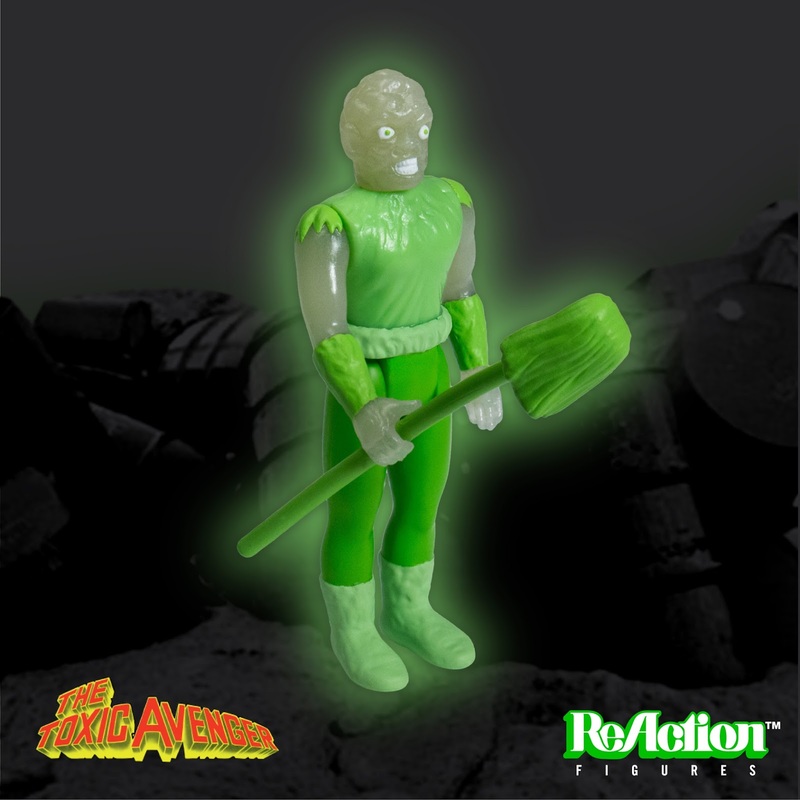 One of those exclusives is this awesome Toxic Glow in the Dark Variant The Toxic Avenger ReAction retro action figure. Fans of Troma Entertainment’s iconic New Jersey based super hero will not want to miss out on this limited edition release. Is it just me or was Toxie designed perfectly for a GID release!?! Collectors can purchase this figure at the Super7 C2E2 booth #757 this weekend, April 21-23.